Diamond Platnumz manager, Babu Tale, has expressed concern over the Bongo Flava artiste’s sudden weight loss. According to Babu, the singer’s busy schedule and lack of adequate sleep have triggered his loss of body weight. Speaking during a conference organised by Wasafi team in Dar on Tuesday, Babu Tale noted that Diamond Platnumz has had a difficult schedule since launching Wasafi TV in April this year. The hitmaker has also been juggling lots of personal issues following his shock break up with Zari Hassan on Valentine’s Day. On top of that, it was reported that he had fallen out with his mother after she attacked Diamond’s flame, Hamisa Mobetto. This has resulted in speculation that his break up with Zari was the root of all his problems, leading to depression and subsequently weight loss. 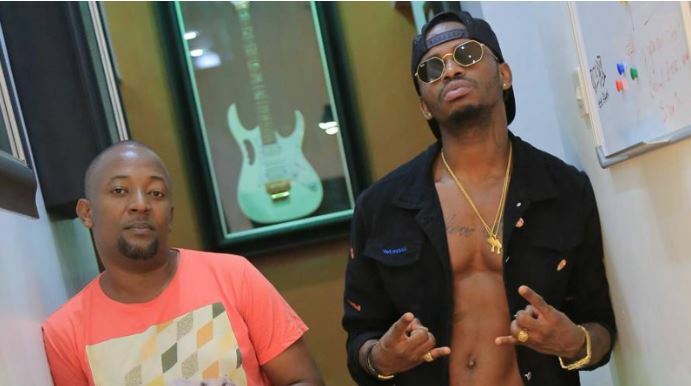 However, Babu Tale downplayed those rumors saying Diamond Platnumz has not had sufficient sleep for the last six months because he’s a workaholic. “He has, consequently, lost weight. We’re worried, given we have pending projects. His management, including me, comprises three people. Diamond, however, often chooses to do what should be our task. He fears failure,” noted Babu Tale.